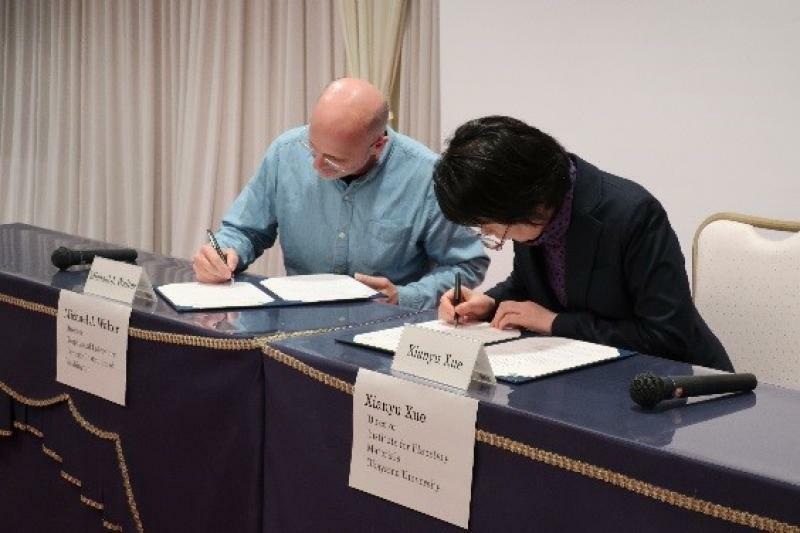 The Institute for Planetary Materials (IPM), Okayama University has concluded an international memorandum of cooperation with the Geophysical Laboratory, Carnegie Institution of Washington on March 19, 2019. The Geophysical Laboratory is a top research institution promoting frontier research on Earth and planetary science using experimental physics and analytical chemistry approaches as IPM, as well as leading in the field of astrobiology. The IPM is also establishing a new program in astrobiology via materials sciences approach since its reorganization in 2016. It is hoped that the strengthening of cooperation between the two institutions will enable further advancement of research fields promoted by both institutions as well as development of new research fields. In the future, the two institutions plan to exchange faculty member/researchers and conduct collaborative research, seminar and symposium. Through the cooperation, it is hoped that the role of IPM as a Joint Use/Joint Research Center and its presence in the international community will be further strengthened. 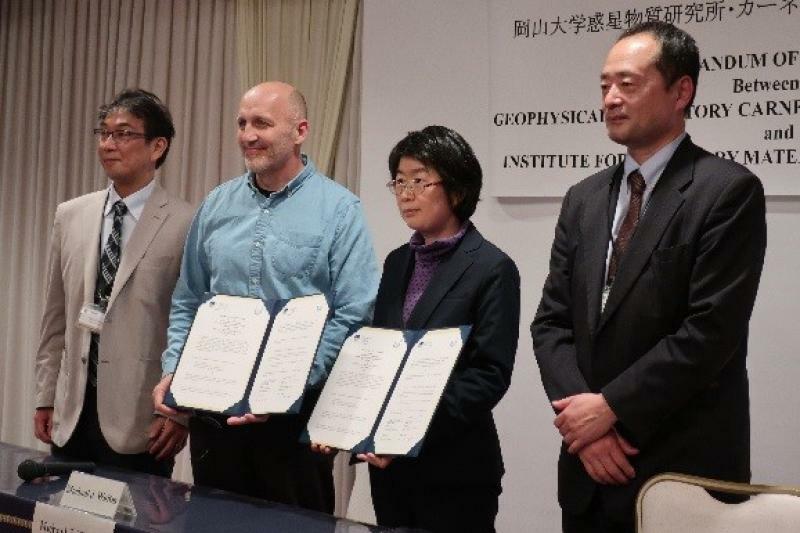 Michael J. Walter, director of the Geophysical Laboratory of the Carnegie Institution of Washington, Xianyu Xue, director of IPM, Takashi Yoshino, vice director of IPM, and Daiji Takeuch, executive vice-president for research of Okayama University participated the signing ceremony. The two directors signed on the memorandum of cooperation, and the agreement was concluded.